When you are out on the open road, it is quite easy to get distracted by the scenery or just the sheer feel of asphalt under the tires. This is an awesome feeling which takes you to another level mentally. However, there are also many times when we value top quality sound while riding. This could be for any number of reasons. Listening to your favorite tunes or keeping an ear open for your navigation instructions are commonplace. Perhaps as a delivery driver or other busy rider, you need to field important calls while on the road. All of these things require top quality and efficient sound. Here we take a look at the best ways you can ensure you never miss a sound, by equipping your helmet with the best possible audio options. The IASUS XSound 3 are looking sleek and sharp right from the outset with their lightweight, aluminum design, they produce not only an unbeatable sound quality but also extreme visual pleasure. They are ultra-slim and highly durable. 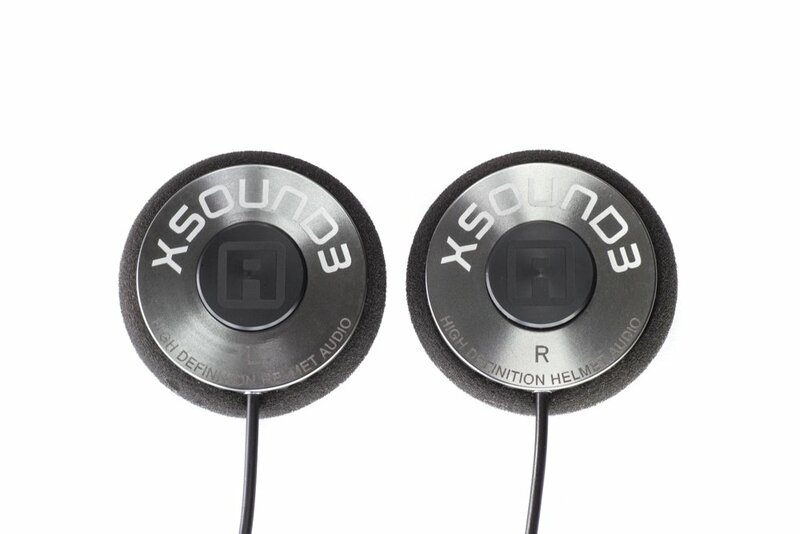 The aluminum chassis and Kevlar reinforced speaker wires combine to produce amazing sound output. This model of speaker comes along with a nifty Velcro attachment for ease of attachment to the inside of your helmet. This helps to ensure a perfect fit and comfort every time. The connectors are gold plated, this ensures that the sound quality is further enhanced. Many users say these speakers produce the best high definition sound quality on today’s market. The waterproof volume control ensures you will never miss a bit despite conditions and the GP3 Throat Mic combines perfectly in producing the best quality audio experience. The 3.5mm jack also ensures that almost all mobile devices are compatible with this model. An all-round premium choice which lives up to its reputation in the market for providing premium quality. Another model with a head turning design and premium sound quality is the Outdoor Tech Chips 0032. Quite the mouthful of a model name but it makes up for that with a superb all-round performance. Boasting a 200 hour standby time with additional AUX cable for on the go charging, this model makes certain you will never miss a thing. The audio quality is nothing short of amazing according to multiple user reviews. It is also quite durable and very easy to use in terms of functionality with buttons. These are both key elements when you are on the road and need to maintain your focus. In terms of compatibility, it is simple. This model is universally compatible with all Bluetooth devices at the touch of a button. It will also reconnect automatically to any previously paired device, cutting your prep time for more time on the road. For those more troublesome conditions, it is also waterproof. Another sharply designed visual success with performance to back it up, priced in the premium range with top notch sound and features to match. 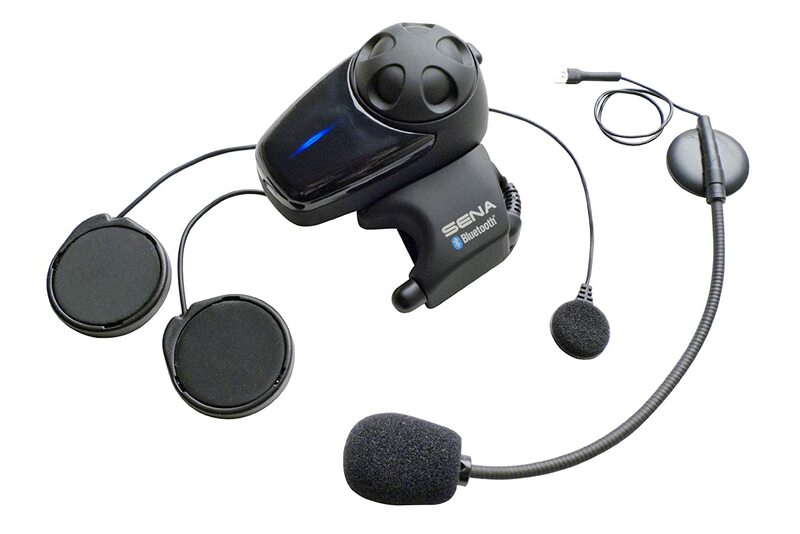 This model is an improved version of the SMH10 and comes along with a universal microphone kit to boot. Boasting an impressive 12 hours of talking time and long distance intercom functionality of up to 900 meters, the SMH10-11 is an option not to be missed if you are in the market for the best biking accessories. With Bluetooth 3.0 its connectivity is fantastic. It will widely pair with most devices on the market today in a simple, efficient manner. The volume control is also very easily adjustable and you can even set different volume levels for music, phone calls and other sounds which will be saved for future reference. The sound quality is already excellent and improved by the addition of noise cancellation and wind noise reduction technology. This means that no matter what the conditions, no communications will be lost at vital moments. This model also comes with a two-year guarantee which ensures that if anything should go wrong unexpectedly, the customer is covered. An all-round splendid option in terms of helmet speakers, providing top quality sound and features to all motorcyclists. Last in our review is the superb value Ideapro waterproof headset. This model is highly waterproof and durable whilst still providing top level features and sound quality at an unbeatable price. Perfect for those who are a little more adventurous and like to take on the rugged terrain in difficult conditions. 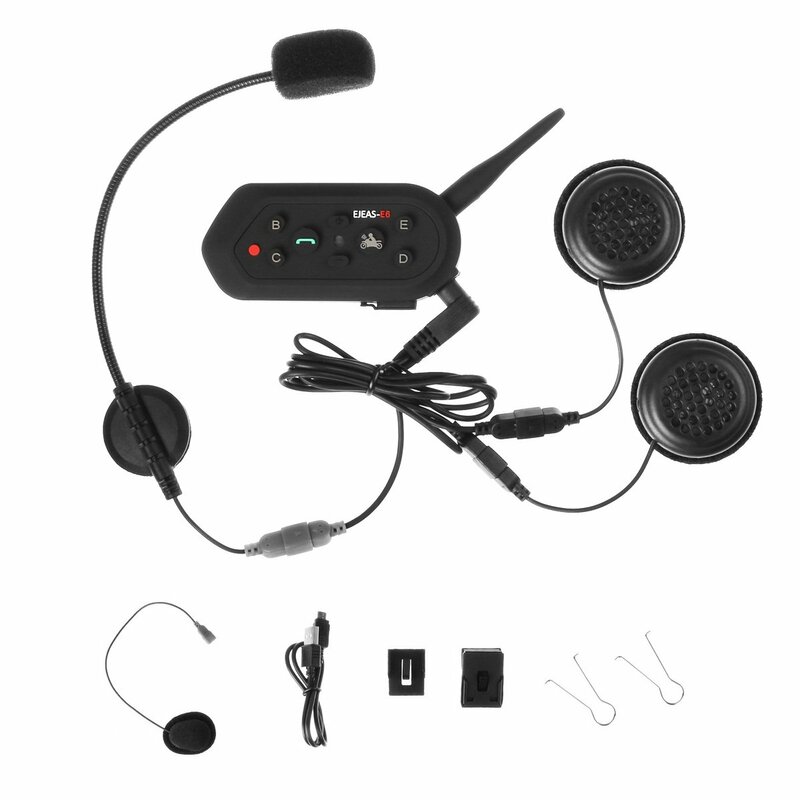 Its Bluetooth intercom has an impressive 1200 meter range and with talking time of up to 7 hours from the 500mA lithium battery, this one is ideal for those long days on the road. It can also auto receive calls, making things super convenient for the rider when focusing on the road. Adding to this the fact that up to 6 riders can be connected at any one time, making use of the wind noise cancellation technology to achieve the best possible sound and we are certainly on to a winning combination. Its 3.5mm audio jack also ensures that it is connectable to almost any device. In pricing terms, the Ideapro is a steal. Fantastic sound and feature quality combined with its rugged durability is something sought after by most riders. 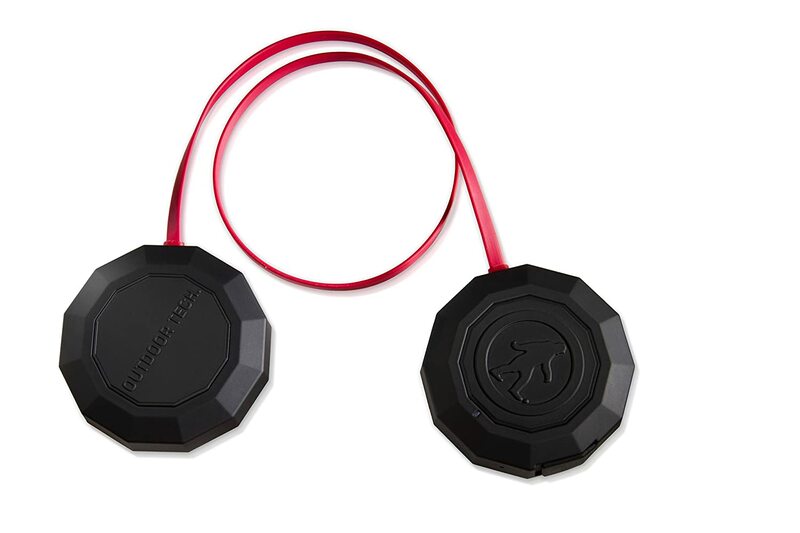 Ultimately, the helmet speaker one of the essential biking accessories for today’s riders. Sure, we like to get lost in the wonderful scenery and feel the freedom of the open road, but more and more we yearn for connectivity to join us. Even if this just means listening to our favorite music on the road and enhancing our journey, surely we owe ourselves the best quality when doing so. If that sounds like you, these are some of the best quality purchases you could make in your biking adventure.